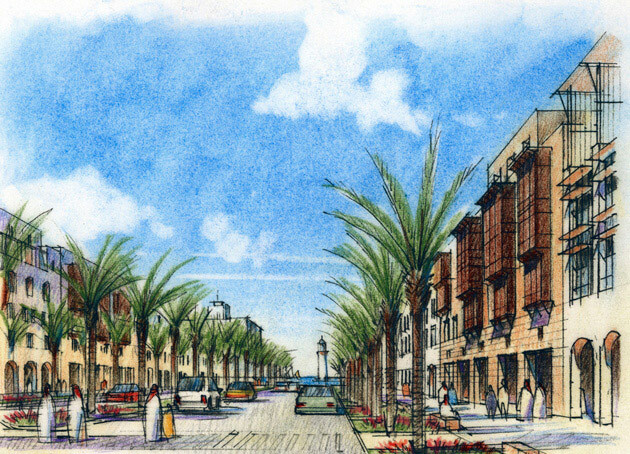 This new 600-acre town on the Arabian Bay is set among the traditional pearl farming and trading villages of eastern Saudi Arabia. The town’s four neighborhoods provide a mix of complementary uses, including a university, primary and secondary schools, courtyard housing and row houses, a centrally located mosque, a waterfront district, a hospital, and a market district in the form of a traditional souk. 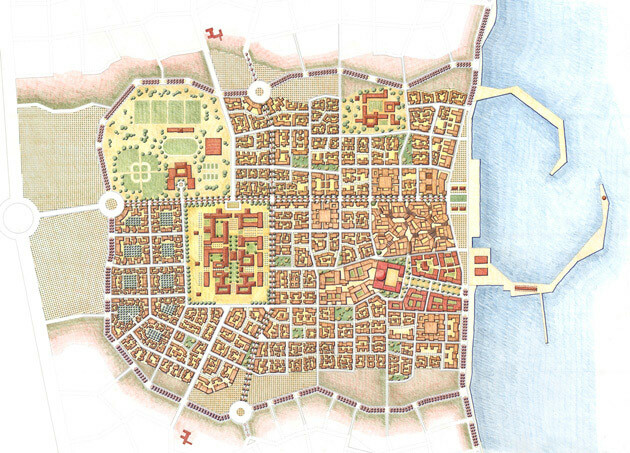 The town structure combines a walkable network of rectangular blocks varying from 300 to 400 feet, with asymmetrical blocks at the town center. Sustainable agricultural and open spaces are incorporated at the town perimeter. 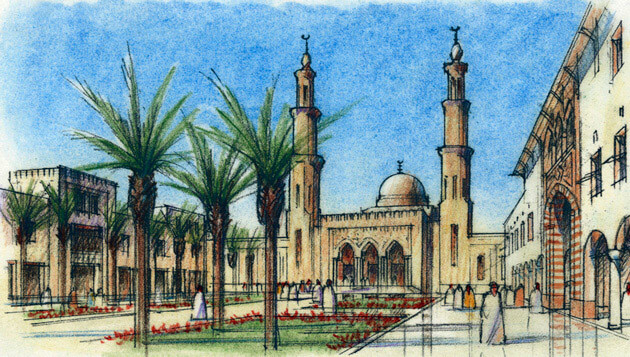 The Al Aqair Town Plan embraces regional models of urbanism, offering solar protection with appropriate orientation and establishing a central role for the souk and mosque. The Plan also accommodates new uses such as tourist facilities and a central boulevard that extends from the waterfront to the airport.